What are the flags in a Torrent client? 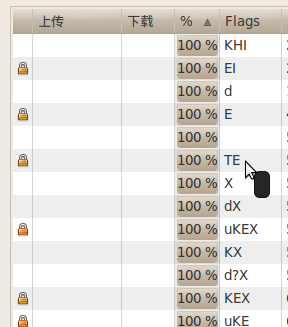 The flags in the Torrent Client (BitTorrent or uTorrent) displays various letters, each carrying a special meaning about the state of the connection. thanks, I was searching for this sometime.